The 10 Best Caterers in Mississippi! When we gather together with friends and family, whether for a small holiday or an extravagant wedding, finding the best food for everyone is essential. 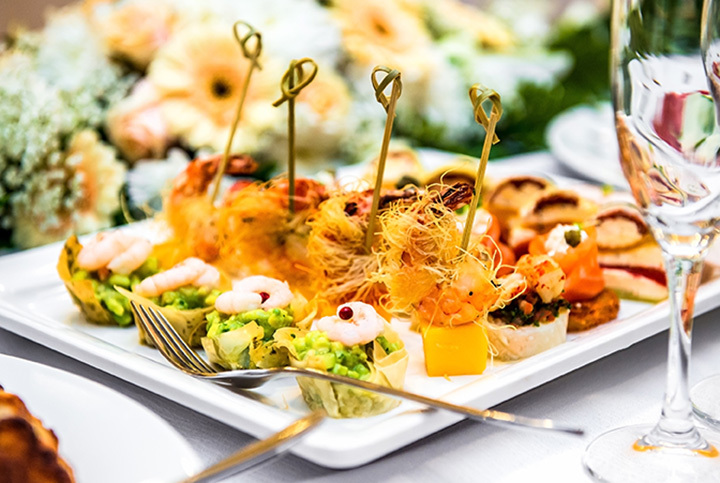 To feed a crowd successfully, with a delicious array of options and top-notch service, you have to select the caterer that’s right for you. Fortunately for those in Mississippi, you’ll have no shortage of high-quality options. Here are the 10 best caterers in the state! Romie's Grocery opened in Tupelo in 2005, and the success helped encourage owner Rob Lesley to build his catering business alongside the restaurant. Romie's can handle any size crowd, from a small group to 10,000 people, and they have equipment available for on-site cooking. Brian Michael's Catering Company was originally a restaurant called Brian Michael's Burger Company, but after the success of their catering ventures they decided to focus on that full time. Now they are one of the finest caterers in the Starkville area, known for their delicious food and beautiful presentations. Lola Fleur in Ocean Springs offers both catering and a market full of fresh ingredients perfect for the Paleo and Clean Eating lifestyles. Their meals are simple yet generous and flavorful, and Lola Fleur is quickly becoming a go-to destination for everything from corporate lunches to special occasions. If you live in the Oxford area, you're likely familiar with James Beard award-winning chef John Currence and his restaurant collective, known as the City Grocery Restaurant Group. The Main Event is the catering venture of this group, which includes restaurants like Boure, Big Bad Breakfast, Snackbar, and (of course) City Grocery. Taste! Catering in Biloxi is owned by executive chef and owner Patrick Heim. They're known along the Gulf Coast for their delectable dishes and beautiful presentation, as well as their eclectic menu, which features choices such as crab sliders and a mashed potato bar. Elements Catering & Floral Design is a full-service company that will help you create the perfect special occasion. They're located in downtown Columbia but serve customers all around the state. They specialize in weddings, and can accommodate any style, from light hors d'oeuvres to formal seated dinners. Mangia Bene Catering in Jackson provides high-quality service and catering. The food is provided from three of Jackson's best restaurants—BRAVO!, Broad Street, and Sal & Mookie's. The team at Mangia Bene (which means "Eat Well" in Italian) will help you design the perfect menu for your special occasion. Lovin' Spoonful Catering in Meridian is dedicated to providing some of the best food in Central Mississippi, accompanied by outstanding service. They offer a variety of service styles, from trays passed by their professional servers to buffet-style. Storybook Favorites is a catering company which operates out of the beautiful BB Club in the heart of downtown Vicksburg. This venue provides the perfect backdrop for many of the elegant events which Storycook Favorites caters. However, they also offer Gourmet To Go options if you prefer to choose your own venue. First Choice Catering has been serving the DeSoto County area since 1995. The team, headed by Chef John Woods and his wife Cindy, have handled large events all across the country. They offer a variety of personalized menus for different occasions, including corporate meals, holiday parties, weddings, and more.